Bring quilts to our August 2nd Sew Day at Fabric Depot, contact the guild at our email address, or see link below for mailing/drop off info. 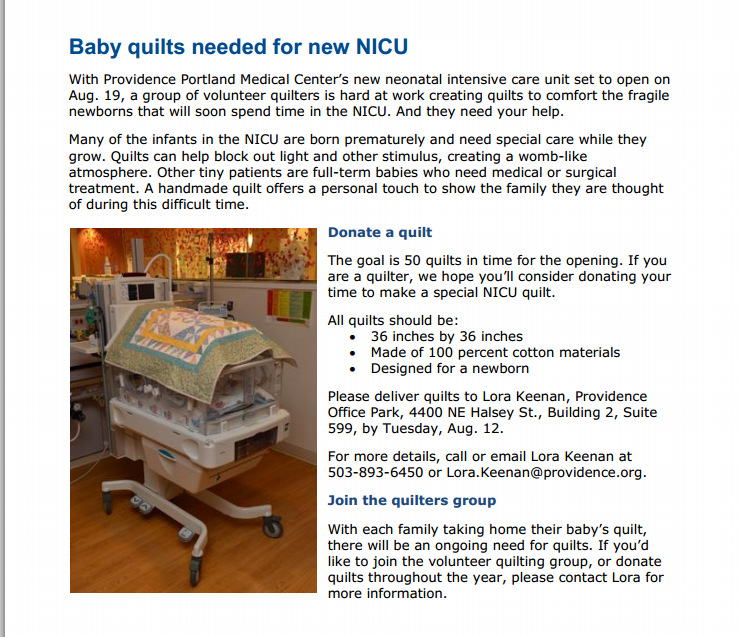 Edit: Quilts may also be dropped off at Modern Domestic through August 16th! Thanks MD!